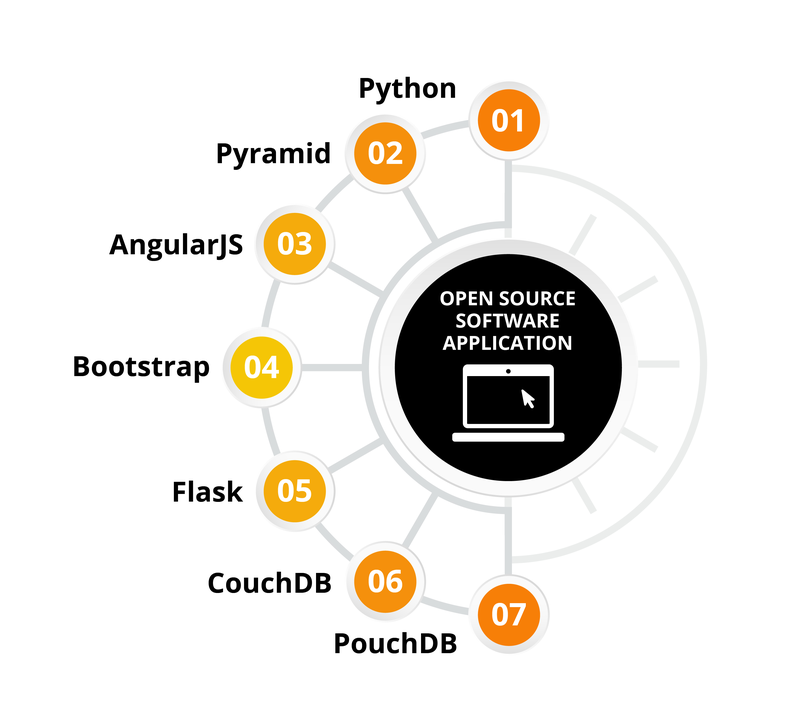 Find out about open source software, such as Python, Pyramid, AngularJS, Bootstrap, Flask, CouchDB and PouchDB, used in OpenProcurement projects, including ProZorro, ProZorro.sale, MTender, Rialto. Learn about advantages of open source code and global community contributions. Public procurement is the purchase of goods, works or services by state-owned organizations and agencies aimed at promoting transparency and elimination of discrimination in the national marketplace. Introduction of public procurement mechanism ensures sufficient and fair competition between suppliers that can compete for a public tender, suggesting the best possible price for goods and services put up for auction sale or purchase. 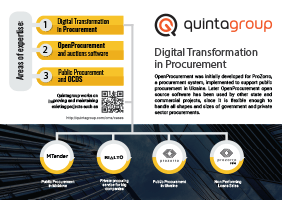 Quintagroup developed OpenProcurement system to cater for the tools to design and build a transparent, effective, and competitive procurement process. 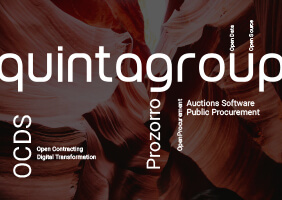 OpenProcurement is an open source e-procurement toolkit that builds accessible processes that leverage auctions to drive savings and are backed by strong data collection and reporting. 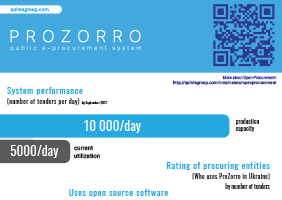 Initially developed for ProZorro, OpenProcurement has been also used in other state and commercial procurement projects, such as ProZorro.sale, RIALTO and MTender, with the latter launched in cooperation with EBRD in Moldova. OpenProcurement has been designed as an open source toolkit, available free of charge to the general public. The Open Procurement system comes under Apache 2.0. The license is a permissive license whose main conditions require preservation of copyright and license notices. Contributors provide an express grant of patent rights. Licensed works, modifications and larger works may be distributed under different terms and without source code. Application of e-procurement system will result in decreased procurement cycle time and potential cost savings for both parties. Another considerable advantage of the system is better access to business opportunities, since more companies will be able to find and take part in tendering. Our procurement solution enhances operational efficiency and streamlines the workflow connected with the preparation of tenders and procurement requirements. We offer to develop custom e-procurement solution that simplifies procurement procedures and diminishes processing time between purchasing requests, bidding, approvals, and purchase orders. E-procurement system gives a possibility to monitor of participants’ activities and visibility into your spending. OpenProcurement has been designed as an open source toolkit, available free of charge to the general public. The idea behind the open source nature of this software relies on community members to find and eliminate bugs in the program code, a process which commercially developed and packaged programs do not utilize. The elimination of bugs and improvement the software is fulfilled with much lower time expenses than through the conventional development channels of commercial software. Python - a programming language, powerful and fast thanks to a highly optimized byte compiler and support libraries. It excels at clear and readable syntax and is easily integrated with .COM, .NET, and .CORBA objects. Pyramid - an open source Python-based web application framework, working on the principle of ‘minimax strategy’ - minimum complexity with maximum results in the sphere of web applications development. Flask - a Python framework, based on Werkzeug, Jinja2 and inspired by Sinatra Ruby framework, available under BSD licence, with built-in development server and fast debugger and integrated support for unit testing. CouchDB - an open source database built on the Erlang OTP platform, since it is specifically aimed at massively scalable real-time systems that includes both REST API and Futon - a built-in administration interface accessible through the web. Open Source technology is frequently more powerful than majority of commercially available products, because its core is being continually developed and evolved by thousands of brilliant developers around the world. We use open source software extensively since it empowers us to penetrate into and obtain profound insight as to how an application is constructed, and to fix it or enhance it in case of necessity. Open source projects have many advantages in terms of their management and processing. Community. Open source solutions are more efficiently suggested by the global communities united around working on the software development and improvement. Thus, the power of community overpasses the effectiveness of internal teams working on proprietary solutions. Every Team Member Matters. Open source management puts a great deal of trust on the intelligence and alignment of the team members and gives them more power for making decisions in their area of expertise. Transparency. Open source code presupposes full visibility both of the code base and of all discussions concerning developed features and detected bugs. Reliability. Thanks to code transparency and accessibility, the open source code is highly reliable. The code is developed by a worldwide community and supported by experts. High security level. The open source code is thoroughly reviewed and vetted by the community, resulting in superior security. Merit-based. The contributors are motivated and eager to make the best, most useful product possible. Their decisions are driven by the idea of finding the best possible solution. Faster solutions. In case of necessity to find new solutions, this process is much faster with the open source software, openly available and explored for free by the global community of developers. Freedom from lock-in. Closed-source software for core infrastructure increases the risk of becoming locked in by the vendor or technology. Consequently, enterprises considerably depend on vendors' price increases and suffer from a lack of flexibility they can't easily and readily escape. Becoming the norm. Once supported and implemented by a large enterprise, open source solutions become extremely promoted among the communities, searching for a proper solution for their projects. If you have any questions, don’t hesitate to contact us! We’ll be glad to provide you with further information you are interested in!